Based in Portsmouth and Chichester, Anthony Perry undertakes projects throughout the South of England but his local preference extends East-West from Brighton to Fareham and South-North from Portsmouth to Petersfield. Anthony very much enjoys undertaking a variety of work from modest domestic work (such as small home extensions) new builds, commercial development, conservation work and restoration projects. Innovate 4 is a small Architectural Practice specializing in bespoke one off housing, from concept to completion, striving to deliver a sustainable design which creates a low carbon foot print and economical environment for its owners. 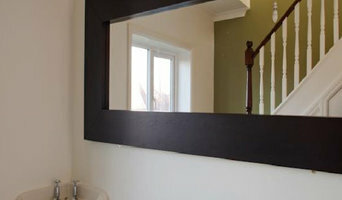 We aim to create a unique and attractive design but ensure that the final product is very much a home. Architects and interior design We have developed a forte within the residential sector, from simple extensions to complete house refurbishments. We offer each of our clients a bespoke service that covers the Full RIBA Plan of Works. Contact us for a free and informal, no obligation home visit to find out how we can improve the way you live and potentially boost the re-sale value of your home. ADAM Architecture is the leading practitioners of traditional and progressive architecture and contextual urbanism in Europe. The practice has offices in Winchester and London and is run by six directors: Robert Adam, Nigel Anderson, Paul Hanvey, Robbie Kerr, Hugh Petter and George Saumarez Smith, who lead their own projects and have their own design ethos, while all working together as experts in the field of traditional architecture. Specialising in the sensitive repair, conversion, extension and conservation of country and town houses in private ownership. 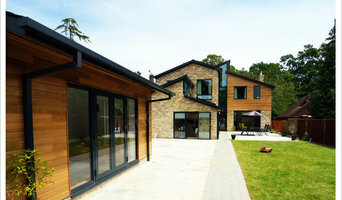 Several recent projects have been for the design and construction of individual houses for private clients. 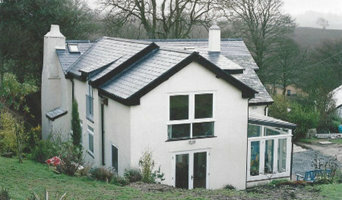 Julian Livingstone concentrates on private buildings, producing designs with an emphasis on imaginative solutions, within the constraints of historic buildings and materials, to delight, excite and stimulate; advising clients on the most appropriate methods of caring for their buildings; receiving several awards for delicate and imaginative conversion of agricultural buildings to residential use and conservation of listed houses; Specialising in the conservation of historic buildings, providing unique and imaginative designs for refurbishments, alterations and extensions to cottages and country houses, barns and listed buildings, garages and garrets. Chartered Architects Architectural services, design, contract administration & management. For homes and businesses of all project sizes. Plan-It Design is a CIAT Registered Practice providing full architectural services. Explore your project with DEAN PARKMAN architecture, an architectural practice that prides its self on accuracy, creativity and above all, dependability. Let the stress and intimidation of construction take a back seat as DEAN PARKMAN architecture takes the reigns enabling you to experience the enjoyable process of design and construction. At DEAN PARKMAN architecture our design work when required is carried out in three dimension (3D) allowing our clients to have a greater more fluent interactive understanding and influence over their project, whether it be a new build property or alterations to an existing property. Dean Parkman has a wide breadth of knowledge about the design and construction industry. Starting out at the Isle of Wight Technical College, he completed a five year National Vocational Qualification (NVQ) in Advanced Site Carpentry and Joinery where a passion for design and construction began to evolve. Due to this awakening, Dean obtained a full-time position working as a junior Architectural Technician for a local architectural practice on the Isle of Wight. During the next 10 years of practice employment, he applied himself to a part-time Higher National Certificate (HNC) in Architectural Technology at Southampton Solent University (SSU) where he began to grow academically. After this two year course Dean wanted to continue his passion for architecture by undertaking a three year part-time Bachelor of Arts Degree in Architectural Technology. During these three years, Dean not only established himself as a university student but also in the field working full time as an Architectural Technologist for his local practice. Now a graduate of Southampton Solent University with a Bachelor of Arts Honours Degree in Architectural Technology, the next two years were spent furthering his career by completing and satisfying the requirements of the Chartered Institute of Architectural Technologists (CIAT), resulting in Dean gaining full membership status MCIAT. Shortly after this period, Dean once more furthered his professionalism by satisfying the requirements for associate membership of the Royal Institution of Chartered Surveyors (RICS). These accomplishments have allowed Dean to gain professional recognition within his chosen profession as a Chartered Architectural Technologist and Surveyor. 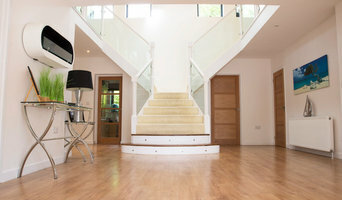 MTA Architects are a well established and award winning architectural practice with offices in Devon and Hampshire. A fresh approach to design, supported by experience and a rigorous attention to detail are the essence of MTA Architect’s design philosophy. We undertake a wide range of architectural work from small residential extensions to large multi-million pound commercial projects. Our experience includes houses for individual clients, other residential projects, sports and leisure facilities, schools and colleges, industrial units, hotels and healthcare projects. 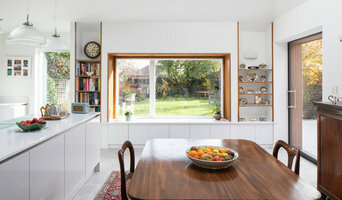 Founded in 1967, based in Ringwood in Hampshire since 1972, Plan & Site Services has developed an excellent reputation for high quality advice and architectural design for clients requiring property and land development. Our building designer can easily deal with alterations to factories, offices, residential and commercial developments, advice on building regulations, changes of use, plans for houses and bungalows, complex roofrooms, extensions, garages and conservatories. Building designs and planning permission for conservation areas are a speciality. Plan & Site Services cover a large geographic area which encompasses Dorset, Hampshire and Wiltshire. You will never be far from a development or building design which originates from our offices. Many of our designs are to be found in Bournemouth, Poole, Salisbury and Southampton. Situated in the New Forest market town of Ringwood, we are centrally placed to supervise all our developments and ensure our clients are completely satisfied with their property or improvements. We can offer advice during the works and help to iron out any difficulties that may arise. Our aim is to give our clients complete satisfaction. Kube Visuals Ltd is a high end 3d architectural visualisation company that pride ourselves on delivering only one thing...Excellence.